The new home of the College of Social Work, Hamilton College, will be even more beautiful than originally anticipated thanks to a collaboration with Arader Galleries. 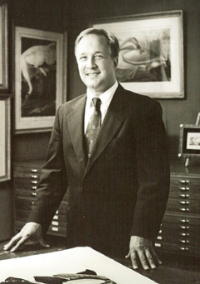 The works of art are from the collection of Graham Arader, who has devoted more than four decades to building a comprehensive gallery of natural history artwork, including hand-colored aquatints and lithographs by John James Audubon and other important ornithological, zoological and botanical artists. Audubon prints, Chinese watercolors and stipple engravings by Pierre-Joseph Redoute will adorn the walls in Hamilton and bring beauty and inspiration for the students, faculty and staff of the College of Social Work! Thank you, Graham, for your support of the University of South Carolina and the College of Social Work!